"Belize is a country rooted in Mayan history. It is a dream of mine, an attainable dream, that Belizeans and other Central Americans living in an area with a rich Mayan past will hold a respect for their country’s sacred history. We have done a good job preserving many of the caves, what is believed to be the underworld, now if we can only do the same with the jungle, and the wild plants. With a respect for plant life and herbal remedies will come a sense of reverence for the land and forests the plant life is born into. I hope to see more jungles preserved and awareness raised about the specific medicinal and edible qualities to both domesticated and wild plants. 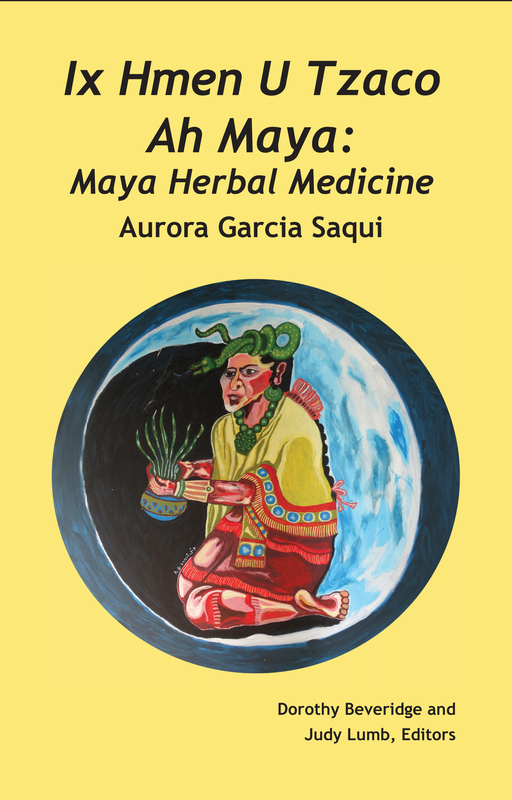 Ancient Mayans knew their environment well, to the point that they could walk into the forest and gather specific plants for specific healings and meals. Available: Nu'uk Cheil Cottages, Maya Centre, Belize; Cayeboard Connection, Caye Caulker, Belize; Image Factory, Belize City, Belize; and Amazon.com.